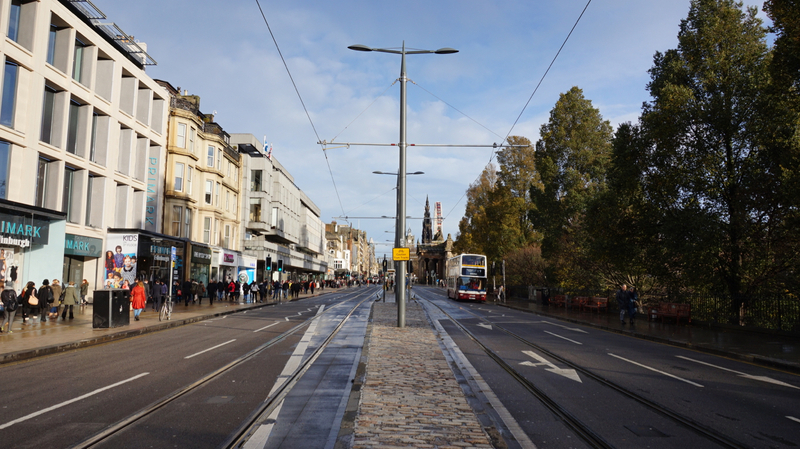 Tram lines on Princes Street. Trams in operation daily 5am to midnight. Tram byelaws permit exceptional closure only for events of national importance up to 3 times a year.